Promotional products are a great way to extend brand awareness and create a memory from a trade show, special event, or working relationship. Also known as advertising speciality items, they can include your company logo and/or a specific message and are available in a variety of price points. Printed products that are eye-catching, such as full color banners, "yard" signs, and postcards are only a small sampling of our print capabilities. 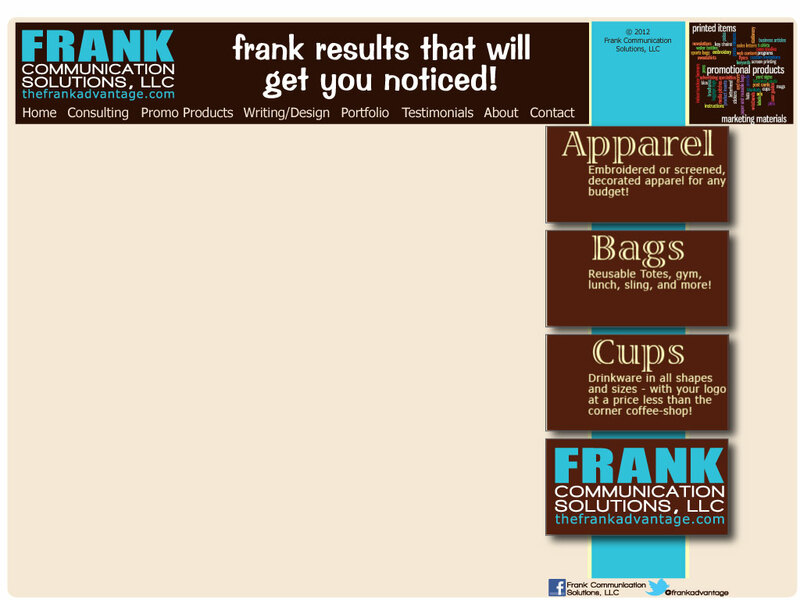 Frank Communication Solutions, LLC, is competitive in pricing with virtually any other promotional products distributor, including those found via the internet. However, when you do business through Frank Communication Solutions, LLC, you can be assured that we are not just trying to sell you something. We believe in educating our clients and sometimes that means strongly suggesting against something you asked for, but we think is not a sound investment of your marketing dollars. We'll help you discover quality items that you will be proud to distribute to current and prospective customers. We work with proven decorators, top-rated suppliers, and industry-approved vendors. Leave the ABCs of decorated apparel, functional logo'd bags, and attractive drinkware to us! 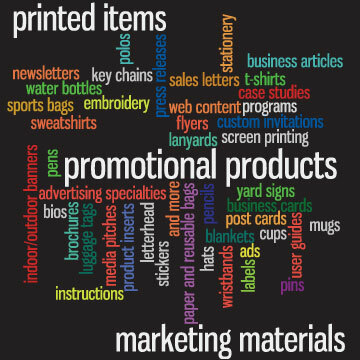 Since we believe in personally helping our client determine the right promotional product fit, we do not list all the options available within the industry here. However, below you will find a link to a limited selection of apparel available for your decorating needs. Or you can visit our "limited" catalog search page. Selections from several other catalogs are available - just call us. Plus, you can use our online-decorating tool to see what your art will look like on any number of available garments.